Noëlle Santos is a millennial, Afro-Latina, hailing from the Bronx in New York City. In October 2014, Bronx native and resident, Noëlle Santos, joined over 3,000 protesters to save the only existing bookstore in the borough, Barnes & Noble, from displacement. This effort by Bronx readers galvanized property owners to extend the chain store's lease through 2016. Through this initiative, Noëlle discovered that the Bronx would remain grossly underserved even if the northeast bookstore was allowed to renew its lease; recognizing an opportunity to create a sustainable, more accessible bookshop, that addresses the shortcomings of big-box stores: reflecting and serving the unique needs of the communities they operate in. The Lit. Bar will be just as multifaceted as me: a bookstore/wine bar/community center. I dream of a graffiti and chandelier theme, much like my life. Free Shipping offer ends at midnight tonight. Hurry to take advantage of this great offer. Texan entrepreneur Kevin Lyles has launched an online marketplace for women of color, according to a report published by The Glow Up. The Dooplex champions small and lesser-known minority-owned brands catering for women of color's hair and skin care needs such as Dr. Earles Skin & Hair, KitiKiti, BBD King and Indigo. The site also carries a blog, named Doo-Rag. "We are political, and we're not afraid of being political. We're not afraid of saying who we are and having that open communication and conversation that black women have every day, like they would have in a salon. But this way, they're going to have it online." "We want to say that women of color are not an afterthought; this is not the 'ethnic aisle'. This is for them, with them in mind, with them in the front of our minds, and we want to offer products to them that work." An African American female entrepreneur, who's made her mark in the retail subscription industry, with a focus on perinatal and postpartum needs. While other products tend to focus on baby, The Stork Bag offers curated products, which help mothers throughout their pregnancies and postpartum period. It's been loved by mothers throughout the world -- including Joanna Gaines, Khloe Kardashian, to name a few -- since November 2014. The Stork Bag is the only pregnancy subscription product to have received OBGYN certification. And, it was a labor of love, for sure. Perry launched The Stork Bag after obtaining her Master's degree, while pregnant with her third son and working full time in the nonprofit sector. On top of that, Ericka recently published a pregnancy journal called "9 Months of Happiness: Maintaining a Blissful Pregnancy," and helps her husband run his self-help YouTube channel YouAreCreators, Inc.
At the end of the day, Ericka is an inspiration for women to reach for the stars, focusing on what makes them the happiest. To get a sense of what Ericka's like (and her amazing personality), please see her reel, and a link to one of her TV appearances. DOOPLEX: What was your inspiration for starting the business? PERRY: My biggest inspiration was mothers, in particular, pregnant mothers. I'm a mom and have many friends and family members who are also mothers. Catering to women during such an important time in their lives was and still is the driving force behind my business. DOOPLEX: What have been your greatest achievements and biggest challenges? PERRY: My greatest achievements have come in the form of customer satisfaction and word of mouth brand recognition growth. Knowing that not only are people purchasing The Stork Bag, but are also spreading the word about it makes me proud. I've faced many challenges with growing The Stork Bag but the biggest would have to be in the arena of scaling. Scaling a subscription based business can be challenging until you find what works for your business. This is because many sub-based businesses rely heavily on other brands, we've learned to work around this challenge by implementing processes that help us align with the right brands and provide exclusive content. DOOPLEX: Advice to women who want to start a new business? PERRY: My advice to aspiring entrepreneurs would be to Just Do It. As a consultant, I often times come across clients who have a really great idea but are too afraid to step on the gas. I always tell them to Just Do It, put it out there and tweak it along the way. Too much overthinking can lead to failure without even trying. DOOPLEX: What are your plans for the future of your business? PERRY: My plan is to grow The Stork Bag into the premier pregnancy gifting brand. Our vision is not only The Stork Bag being the "go-to" pregnancy gift, our goal is for our brand(s) to be synonymous with pregnancy. DOOPLEX: Being a black woman business owner? What are some of the specific challenges? PERRY: I don't necessarily see challenges related to being a black woman business owner. My outlook sees far beyond barriers and capitalizes on opportunity. I encourage all female entrepreneurs to do the same, especially AA female entrepreneurs. We're not victims, we're leaders who can create magic if we knew our potential and focused only on opportunity; image what we could create! DOOPLEX: What do you love and struggle with when it comes to your hair/skin? I love my skin color, growing up with darker skin was sometimes hard and when I became a young adult and started wearing make up, it was a struggle to find the right foundation. Luckily, I've never struggled with acme prone skin but oil prone skin was a headache! Looking for an entirely for-us, by-us, one-stop shop for hair and beauty products? 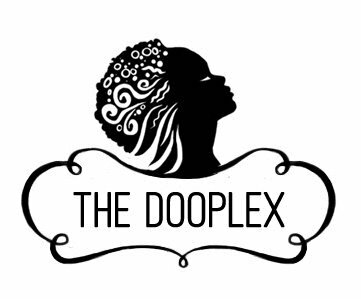 Welcome to the Dooplex, a new online marketplace hoping to elevate the black beauty industry to the next level. Launched on Martin Luther King Jr. Day 2018, the Dooplex is the brainchild of CEO Kevin Lyles, who left a corporate career in Texas to return to his native Gary, Ind., to help his family's 29-year-old beauty-and-barber supply company, Milizette. Witnessing the ways that his hometown was dying because of the loss of industry and jobs, Lyles sought to give back to the community and help small black-owned salons and beauty suppliers stay afloat by selling their product online. Enter friends and partners Roger Fountain and Jacob Williams who are helping Lyles bring his vision to life through the Dooplex. In addition to offering options from lesser-known black- and minority-owned skin- and hair-care brands, starting with Dr. Earles Skin & Hair, KitiKiti, BBD King and Indigo, the team are also offering community and kinship through their blog, Doo-Rag. Their autonomy to craft and convey their own unique message, as well as curate offerings specific to the needs of women of color, derives from the fact that the Dooplex is independently funded. While their pace of growth may be slow and steady compared with other startups, there are no venture capitalists editing their messaging or watering down their products, each of which is salon-tested and professional-grade. "I think it's important that we make sure that our customers know that the lines that they're buying are black and minority-owned. ... It's never been more relevant than right now. And that is something our customers really respond to—it doesn't have to always be these big cosmetic companies that are the powerhouse. You know, these smaller lines are out there; they've been chugging along in the black community doing really well for women for a long time. It's just that now we have a national platform for them, through e-commerce." "We want to say that women of color are not an afterthought; this is not the "ethnic aisle." This is for them, with them in mind, with them in the front of our minds, and we want to offer products to them that work. ... For us, first and foremost are our customers, and what works for them and what they need."